Nice long file strokes on the first belt. Really short light pressure strokes on the second. Not even the same kind of belt. Might fool the youngsters. First off, most tires use up their tread before the sidewalls crack and become unusable. Secondly, if you're doing something so that the tread doesn't wear out, it sounds like a perfect way to end up in a tree or ditch in the rain or cold. According to their YouTube comments it doesn't effect traction. I'm not buying it, that's just not how things work. Last edited by ctechbob; 04/10/18 11:29 PM. I wonder if they recommend this on motorcycle tires too? First saw that stuff recommended by a rubber boat specialist vendor. Its billed as protection against UV and ozone, both significant threats here. Given that my tyres age-out before they wear out, I'd buy it, but AFAIK you can't get it here. I used sunflower oil a few times but became concerned that it might weaken the tyre structure (it noticably softened a crunchy radiator hose) so I stopped using it two or three years ago. Occaisionally think about starting again but havn't so far. Wish I still had my autocross car and timing equipment, I'd be willing to test the idea. Treat both tires on one side of the car and not the other two. Run a lengthy skidpad test in one direction and then in the other controlling as many variables as possible. You should be able to find out very quickly the grip and wear difference. If this goes viral, I bet the guy's inbox is going to be flooded with messages from lawyers offering to be retained for when someone tries this, wrecks, and sues the guy for recommending it. I like some of the comments. Looks like more of an ad for 303 than anything else. It might make the tire sidewalls shine for a couple of weeks, but as for reducing treadwear LOL!! That is more than a far reach. I have never put tire shine stuff on my tires and quite frankly do not care if they are shiny or not. None of my vehicles are ever going to be in a car show. I have seen 303 around , it is right next to the ArmorAll type products. Straight out of Consumer Report Aug 23 2016. "We have not tested any of these products, but we did ask for feedback from Bridgestone, Continental, and Michelin. The clear consensus was that today�s car tires are formulated to resist the harmful effects of UV light and ozone. Continental did not recommend use of lubricants or chemicals to the tire, and Michelin said tires should be cleaned with soap and water. Bridgestone said their tires have antioxidants and waxes in the tire to protect them from the environment. A dull appearance may occur overtime, but this is just the waxes migrating to the surface and actually helps protect the tire." This may just work. 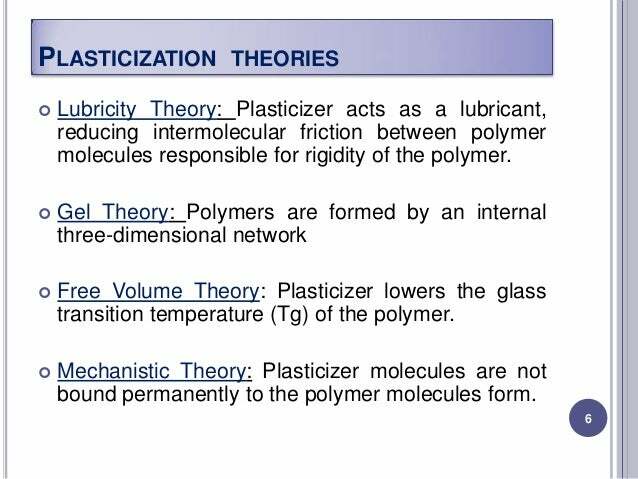 Plasticizer is something well known. It could make the rubber or plastic it is applied to more flexible and less brittle so that tiny pieces don't break off as much. Arizonian Tires, sold by Discount Tire (a shop chain store), really made by Cooper Tires. I could have sworn back in the 80's or 90's that Kelly Tires made Arizonians, so maybe Cooper bought the name now.(??) They might be the cheap made-in-China tires even though Cooper is the owner. Shouldn't need a lengthy test to show grip difference. You'd be able to pull more lateral G's in one direction than the other. Wear it'd depend, if there is an effect, on the mechanism. If its just a lubrication effect (so grip and wear were inversely related), then it might show up in short term testing, though if the stuff gets absorbed then the timing might be critical. If, OTOH, its primarily UV/Ozone protective effect, then it might not show up on practical timescales. I thought of trying this type of "endless corner" testing when I was doing the sunflower oil treatment, but never got around to it. I did do some half-assed emergency stop testing after standing overnight post-treatment, just to make sure it hadn't become very dangerous, and if anything it seemed to stop a bit better. Perhaps the rubber was softened and got a bit stickier. The tyres, IIRC, were about 8 years old so probably fairly hard. I have seen 303 around , it is right next to the ArmorAll type products. I stood right next to a Peter O'Toole type Peter O'Toole at Leeds University Union bar once, yet I am not Irish, nor a film star. Straight out of Consumer Report Aug 23 2016. "We have not tested any of these products, but we did ask for feedback from Bridgestone, Continental, and Michelin. Right. And these companies did not say "Our tyres are lousy, and need protected by aftermarket products". I believe Armor all is shiny stuff with an organic solvent carrier, so it seems quite likely it would attack rubber and plastic. IIRC 303 claims not to and might be silicone based. I'm not saying 303 works, never used it. I'm saying your stated reasons for knocking it (other than general scepticism, which is appropriate) aren't valid. Last edited by Ducked; 04/11/18 10:15 AM.